Dr. Jeremy Ascherl grew up in Emmetsburg, Iowa, where he developed his hard work ethic and love for athletics. His active lifestyle and passion for wellness led to a strong interest in pursuing a health career. 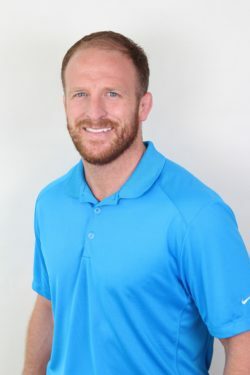 Dr. Ascherl attended Ellsworth Community College as a student-athlete before transferring to University of Wisconsin-Platteville to finish his education and wrestling career. Dr. Ascherl graduated from Palmer College of Chiropractic, the fountainhead and leader in chiropractic education. In addition to working in the Palmer Community Clinic and Community Outreach Clinics, Dr. Ascherl was an intern in the Sports Rehabilitation Department where he received additional experience utilizing a variety of soft tissue techniques including Active Release Technique and Graston Technique to treat various musculoskeletal conditions. Dr. Ascherl is committed to restoring proper spinal alignment and function for patients of all ages and walks of life. When he is not treating patients, Dr. Jeremy is currently serving with the Iowa Air National Guard as an aerospace propulsion mechanic. He has served for over 17 years including over 8 deployments with Operation Iraqi Freedom. Some of his accolades include Hometown Hero Salute Award and three Air Force Outstanding Achievement Awards. He is also active in the community, enjoys golfing, working out, volunteering to coach high school wrestling, watching all Panther and Hawkeye sports, and spending time with his family. Born and raised in Spirit Lake, Iowa Dr. Whitney Dawson developed a strong love for the water, spending quality time with her family, and making memories with her friends early on in her childhood. 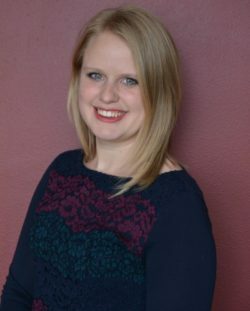 After graduating from high school Dr. Dawson headed to Sioux City to attend Morningside College, and upon completion, left with a biology degree. Always having her mind set on the medical field, she contemplated what area of this field would be a perfect match for her. However, after being advised to shadow a chiropractor in her area, she knew that it was a perfect match. Dr. Whitney quickly admired the connection that chiropractors developed with their patients; their care and guidance really seemed to make a difference. Without hesitation, Dr. Whitney Dawson applied to Palmer College of Chiropractic in Port Orange, Florida. Her strong love for the water led her aspiration to be on the coast as she continued her studies and built her career. While attending Palmer College, Dr. Dawson was designated the Clinical Teacher’s Assistant and had the opportunity to practice a wide variety of methods, including: Diversified, Thompson, Flexion Distraction, Activator, Instrument Assisted Soft Tissue Mobilization, and Pettibon. Upon graduation, Dr. Whitney decided to move back home so she could be around her friends and family. When she is not seeing patients, Dr. Whitney loves to spend her time running or walking her dog Stitch, spending time on the water with kayaking or boating, and going to movies with her husband.